The University Libraries are fighting back against rising textbook costs using open educational resources (OERs). Miami University faculty are invited to participate in the OER Explore Workshop help Tuesday, May 15 from 2-4 p.m. at the Voice of America Learning Center. During the two-hour session, they will learn about textbook affordability issues and open textbooks resources. Faculty are eligible to receive a $200 stipend toward their efforts in exploring open textbook options for one of their courses by participating in the workshop and writing a review of an open textbooks found in the Open Textbook Library (OTL) after attending. Faculty can apply for the workshop using this online form. Capacity is limited, and preference will be given based on OTL textbook subject area availability. Those selected to participate will be notified by 5 p.m. on Friday, May 4. In an effort to promote widespread participation in the initiative, faculty who have participated in previous OER Explore Workshops will not be eligible for this cycle. Faculty must both participate in the workshop and complete a review of an open textbook in the OTL in order to be eligible for the $200 stipend. Questions about the workshop or about open textbooks in general can be directed to Carla Myers, coordinator of scholarly communications at (513) 529-3935 or myersc2@MiamiOH.edu. The Spring 2018 OER Explore Workshop is sponsored by Miami University Libraries, Miami University's Regional Campuses, and Miami University's Office of the Provost. Tuesday, May 15 • 2-4 p.m.
After 25 years of dedicated service to Miami University, University Libraries Dean Jerome Conley will become an honorary Miami University alumnus. The Miami University Alumni Association will present Conley with the Honorary Alumni Award on Thursday, May 3, 2018 at the Annual Advancement Awards Banquet. Established in 1958, the award recognizes individuals who serve Miami and the alumni association as loyally as alumni. 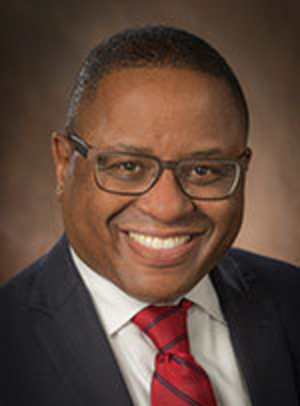 Conley began his career at Miami University as a resident minority librarian in 1992, and went on to serve in a variety of capacities including head of special libraries, assistant to the dean, and reference librarian. 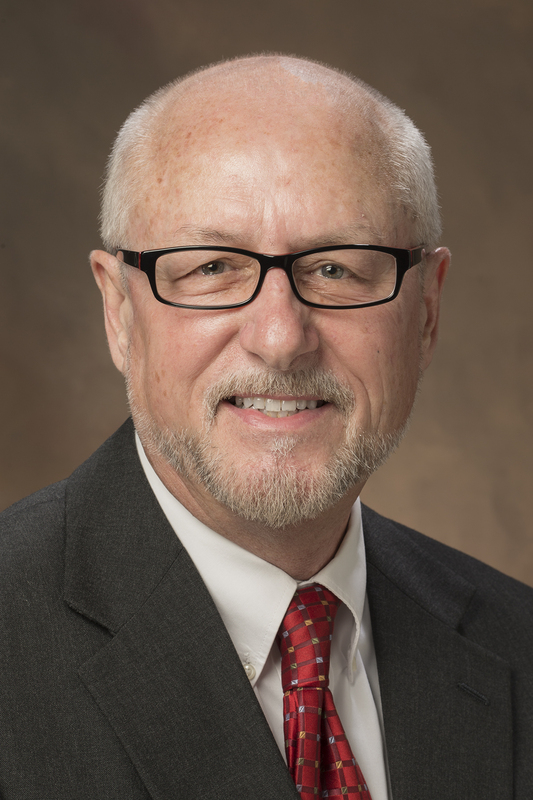 He was appointed Dean and University Librarian for Miami University Libraries in January of 2013. Heather Barbour, senior library technician, was honored Thursday as the Miami University Libraries’ 2018 Distinguished Service Award Winner. One of 15 University Libraries’ staff members nominated by peers for the Distinguished Service Award, Barbour joined the Libraries in 2013. In her behind-the-scenes role, she helps make Libraries’ print and electronic resources available to the Miami community through a variety of roles ranging from processing and repairing items to collecting data on usage. Barbour also is a fixture on committees planning University Libraries’ staff events as well as on the Libraries’ broomball and curling intramural teams. A familiar face on campus, Barbour serves the university as an usher on home football and ice hockey game days. - And Elias Tzoc and Jacqueline Johnson for their appointments to principal librarian. 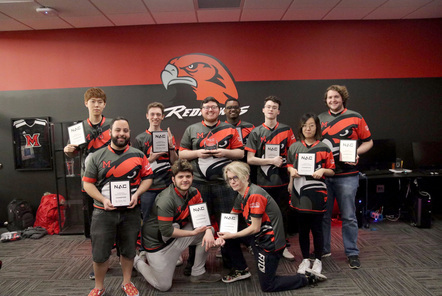 The event drew attention not only to staff service but also to the considerable creative and scholarly accomplishments the Miami University Libraries team has contributed over the past year. 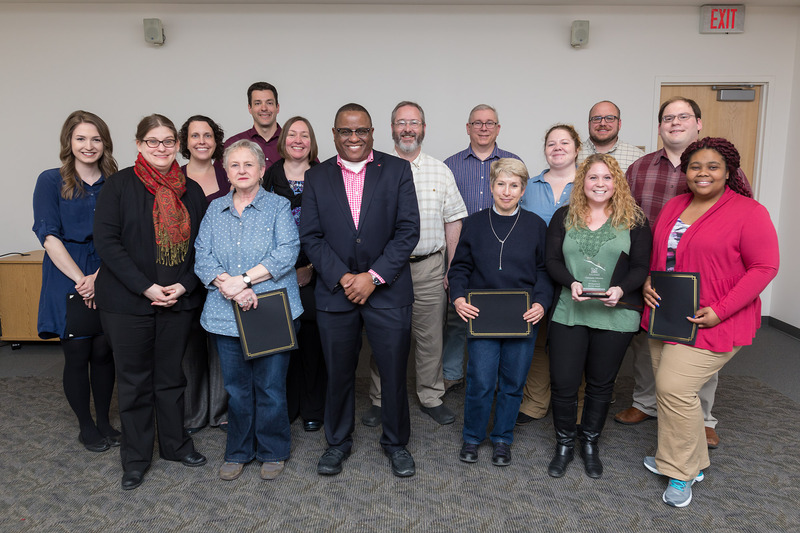 The 2018 Miami University Libraries Distinguished Service Award nominees gather for a group photograph during Thursday's Celebrating Our Own ceremony. The University Libraries Distinguished Service Award and Celebrating Our Own event are in their fifth year. Nominations for the Distinguished Service Award come from Libraries staff and are reviewed by a committee consisting of previous winners and the Dean. The full list of 2018 nominees follows. The lecture begins at noon in King Library 320 and will be available via Facebook Live through the University Libraries’ Facebook page. Keller was university architect and campus planner at Miami University for nearly 25 years. Among his responsibilities were overseeing long-range capital planning and all phases of design and major construction for Oxford and the regional campuses. Now retired, Keller remains active as architect emeritus, leading special design projects and guest lecturing. He has been instrumental in designing a number of prominent campus icons, including the Freedom Summer Memorial, the Great Seal within the Armstrong Student Center, and the recently completed Western College for Women Legacy Circle. Using examples of built and unbuilt memorial and tribute designs, Keller will discuss the importance of site selection, defining intent, finding the best design concept, and integrating symbolism into the creation of a monument that fits within the uniqueness of the campus environment. Sponsored by the Walter Havighurst Special Collections, university archival collections and the Western College Alumnae Association. If you visit King Library today, you might notice some new, unusual-looking patrons. Through a new 24-hour therapy animal loan program called "Pause for Paws", the Libraries seeks to help students reduce stress, particularly during the weeks leading up to final exams. The initiative adds to an already impressive array of free resources available for check out at the circulation desk. "We provide a wide variety of items at circulation, from simple things like adapters and phone chargers to laptops, digital cameras, and tripods," said library technician and "Pause for Paws" program development lead April Jester. "With the animals, though, we're breaking new ground in offering a resource that has the ability to really improve the well-being of students." Research suggests animal companionship may provide psychological and physical benefits, and students missing their family pets may find comfort in an animal loan. 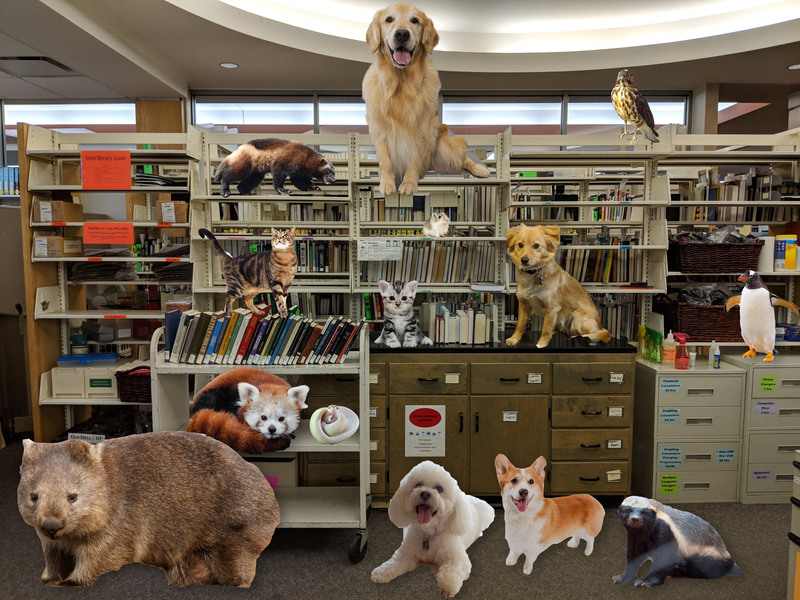 The libraries are taking a broad approach with "Pause for Paws", offering not only dogs and cats but also honey badgers, wombats, hawks, red pandas and more, creating additional opportunities for yet-unknown benefits. Students interested in checking out a 24-hour animal loan should be aware they are responsible for cleaning up after their animal, and that today is April Fool's Day. Alea Henle joined the University Libraries in March as head of the newly-created Access & Borrow department. Ohio-born & (mostly) raised. I'm what is sometimes called a "faculty" brat, as my father taught mathematics at Oberlin for decades. I have a BA from the College of Wooster, an MLS from Simmons College, and a Ph.D. in history from the University of Connecticut. I'm the head of the newly created Access & Borrow department. As such, I'm working to build cross-awareness within the department and libraries about the ways the department supports students, staff, and faculty access to the resources, materials, and spaces they need to conduct research. I've been a librarian for decades because working in libraries is a great way to spend most of one's life there, which I was doing even beforehand. As a child, I was a constant visitor and avid reader (some things don't change!) and started working in libraries in college (a traditional route). I accepted the position at Miami because the job description interested me and offered the kinds of challenges I was interested in, and the university has a solid reputation. There is no one best part, rather there are so many it's impossible to choose -- the people! the resources! the air of inquiry! I'm not good at picking one of most things. That said, I wish college students knew just how much we're here to help and just how much help we can offer. It's always bittersweet when students realize late in their studies that they could have had this assistance all along. What are you most excited about tackling in your new role? The variety of challenges before us. I own somewhere in the neighborhood of 4-5k books and you want me to pick one favorite? Nope, not happening. While I used to daydream myself into books, I don't do that much anymore. I'm more interested in writing them because then all the characters are mine (even the ones I'd rather weren't). Reading (no surprise), walking my dog all around Miami and exploring the various parks and byways, and writing both fiction and non-fiction. Hmm, also a hard question. How about how widely I've lived in the US -- I've gotten new state driver's licenses 10 times and only the tenth was a repeat (Ohio!). The Miami University Libraries welcome Alea Henle as head of the newly formed Access & Borrow department. Access & Borrow serves to connect the Miami community to the materials and resources that support academic success and advance discovery. It encompasses a variety of integral areas, including access services, shelving, circulation and technical services. Henle comes from Western New Mexico University, where she served as head of public services librarian since 2013. Her employment history includes Colorado State University, University of Wisconsin-Madison, and years in the private sector at a large international law firm. She has a lengthy history of published scholarship, presentations and service to professional library organizations. 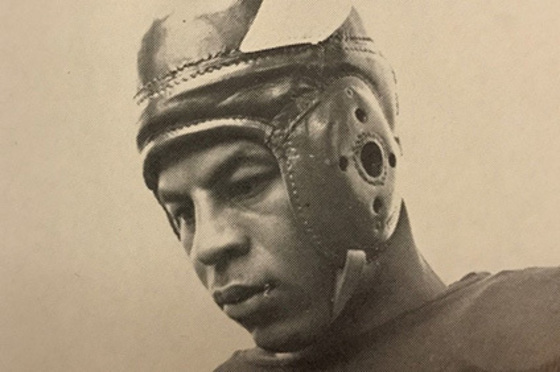 Henle holds a bachelor’s degree from the College of Wooster (Wooster, Ohio), an M.S. in Library Science from Simmons College (Boston) and a Ph.D. in history from the University of Connecticut (Storrs, Connecticut). Q: What has drawn you to librarianship as a career? A: I enjoy the rhythm of being a librarian. It gives me regular contact with students and faculty, and I love helping people. Even when I was not a librarian while working on my Ph.D., I couldn’t resist wanting to help people with instructions and directions. You can take the librarian out of the library but never the librarian out of the person. Q: What excited you about this new role? A: The mix of responsibilities intrigued me. I appreciated that this new department draws together some areas that historically have often been quite separate. It includes some staff more on the public side and some who make things work behind the scenes. They are all mission-critical groups who enable people to access materials, resources and spaces within the Libraries. Q: What is your vision for your first 30 days? How about longer-term? A: My first 30 days will be a lot of meetings and opportunities to listen, ask questions, and see possibilities. Longer-term, we will work together to develop a department identity and foster cross-awareness among the various areas in our department. This will create opportunities for brainstorming. One of the benefits of working with Miami’s well-established libraries and experienced staff are the opportunities to bring a lot of ideas together. Q: As an experienced librarian, what challenges or opportunities do you see in librarianship today? A: As a historian who has studied the history of books and libraries, I think there is an evolving definition of what is a library. Is it a place? Is it a collection of books and resources? Is it things? I recently read an article that stated libraries are one of the most trusted places to get information, and that’s a big and appropriate responsibility. Change is ongoing in libraries, and that distinction between a place and a provider of resources is becoming more important. There are many people visiting the library today without ever setting foot outside their dorm room or office, and it is important to support both physical and virtual library spaces. Despite all the changes you see in libraries today, the heart remains the same. We serve those who hunger for knowledge. We create access to resources that not all can afford. We offer community that welcomes and includes. 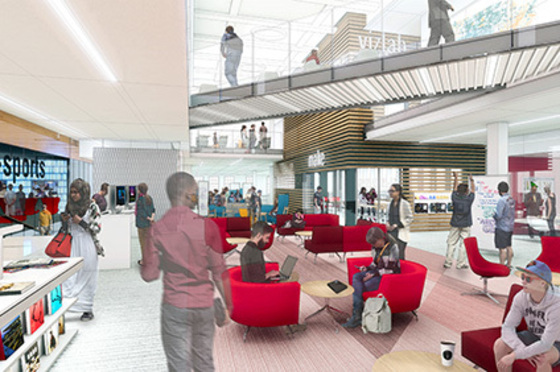 Master planning process offers a glimpse into King Library's future possibilities. Within a yellowed manila folder, filed among the endless rows of vertical files and tidy blue boxes containing Miami University's history, waited a heart-wrenching story in need of a voice. In the case of Judy Goacher Mansfield '68, mother really did know best. Are you a former Libraries student worker? Lindsay Miller, a 12-year veteran of the Miami University Libraries, began a new role last month as assistant head of the Advise & Instruct Department. The newly created position joins one of six new departments formed out of the University Libraries’ recent master planning process, which explored services, organization and facilities. Advise & Instruct seeks to enhance Miami’s academic community through specialized guidance, instruction, and resource selection that encourages the use of the Libraries, inspires research and researchers, and fosters the growth of critical thinkers and lifelong learners. Miller joined the Miami University Libraries as an academic resident librarian in 2006 and has served in a variety of roles and capacities – from communications coordinator to first-year experience librarian – during her time. She was promoted to associate librarian in 2013, and the development, coordination and scheduling of instructional programming have been central to her responsibilities. In her new role, Miller directly supervises a team of librarians who are primarily focused on instruction and engagement while also having liaison and collection management responsibilities. Lindsay earned her B.A. from Miami and her master's in library and information science from the University of Kentucky. She recently participated in a brief Q&A to discuss the evolving roles of University Libraries and the opportunities created by her new position. Q: Talk about why this position was created. A: The Advise & Instruct Department as a whole came out of the master planning process and looking forward to what type of library system we need to be in the future. That means a focus on student engagement and student success. It also takes a lifelong aim. My position, in particular, looks at how we integrate information literacy into the curriculum. These are all areas I’ve been working on as long as I’ve been here, and I’m excited to support an exceptional team of librarians in performing these important functions. Q: Why is information literacy so important today? A: There exists a misconception that, because of the Internet, everything is easier to access and all the information we need is now available at our fingertips. It’s actually more difficult to access good information today because there is so much to sift through. We have to equip students with the skills to evaluate information sources. It can be hard to tell the difference between what is even real or fake, let alone what is reliable and appropriate for the paper they’re writing. That’s a key focus for libraries and very important to our students as they move through majors and careers. Information literacy is directly tied to critical thinking. Q: What role are the University Libraries already playing in information literacy? A: We have had a lot of success integrating information literacy into first-year courses, like UNV 101 and ENG 111. We have also enjoyed success with our librarians working directly with faculty to promote information literacy through various classes or assignments. The hope is to structure and unify these various efforts behind an encompassing strategy that looks at the skills we’re developing in students as they progress throughout their Miami careers and lives. Q: Talk about how the Advise & Instruct department is arranged and its early priorities. A: Our guiding vision is a culture of sharing – using activities in the classroom as platforms to share and promote the repository of tools and resources the Libraries offer. Kevin Messner, head of Advise & Instruct, supervises the subject librarians. I support the librarians who focus on instructional initiatives and student engagement, which will soon include two new student success librarians, one focused on campus engagement and one focused on the experience of first-year and sophomore students. Campus engagement is foundational for student success, so we are excited about this new emphasis. We will also be building a team focused on creating digital learning tools and lesson plans that can be applied across subject specialists and adapted to specific classes and subjects. 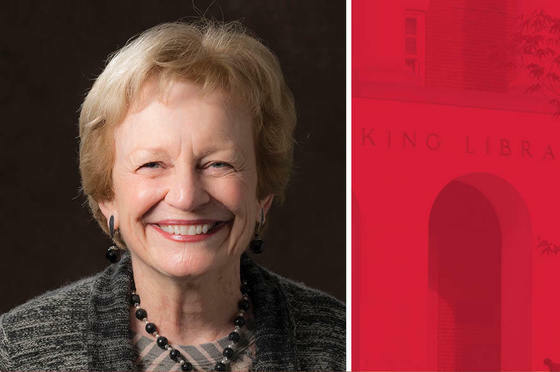 On Wednesday, March 14, the Miami University Libraries welcome Valerie Edwards Elliott ’75, manager of the Smith Library of Regional History, for a Women’s History Month lecture on the history of the Oxford College for Women. 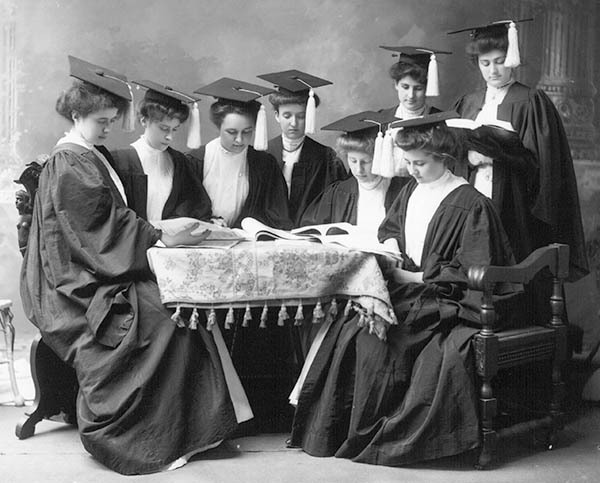 Elliott will present a visual overview of this local women’s college from its antecedents in the 1830s through its merger with Miami University in 1928. The lecture is free and open to the public, and is produced in partnership with the Walter Havighurst Special Collections, university archival collections and women’s, gender, and sexuality studies program.